Turn those drive-bys into diners with an LED restaurant sign. With so many choices for restaurants, people often rely on cues to make a decision where to eat. Restaurants that invest in a bright, eye-catching LED sign instantly have an advantage over the competition. 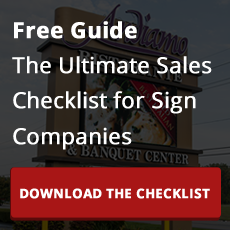 Restaurants that have invested in a outdoor or indoor LED sign have found increases of up to 150% in business, according to studies conducted by the Small Business Association. Electro-Matic Visual Solutions’ high quality, LED signs are designed to increase your visibility and connect with your customers. People often determine where they are going to eat on impulse. Our ultra-bright LED custom signs allow you to display eye-catching, dynamic messages that will grab the attention of people going by. With over millions of color, text and image possibilities, you can deliver a lasting impression that will get new customers coming through the doors and keep old ones coming back. Restaurants can easily spend thousands of dollars every year advertising on radio, newspapers, television and online and suffereing expensive, reoccurring production costs for each. But investing in an LED sign for your restaurant is only a one-time cost. Our simple sign software allows you customize text, logos and images to display everything from daily specials, menu changes and job openings. Updating your sign is done manually and at no additional costs compared to expensive newspaper, radio and television ads. For over 20 years we have continually improved and redesigned our restaurant signs to be the most cost efficient LED signs available. The 60,000+ hour LED lights and the lightweight, durable design allow for both low energy costs and a reduced instalation price tag. Our signs are also locally serviced by a network of quality sign dealers to ensure the success and functionality of each sign.